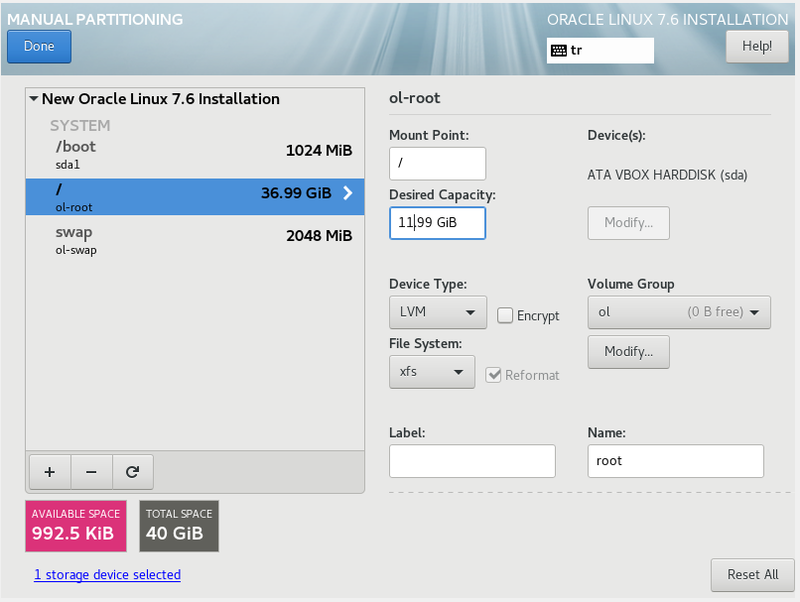 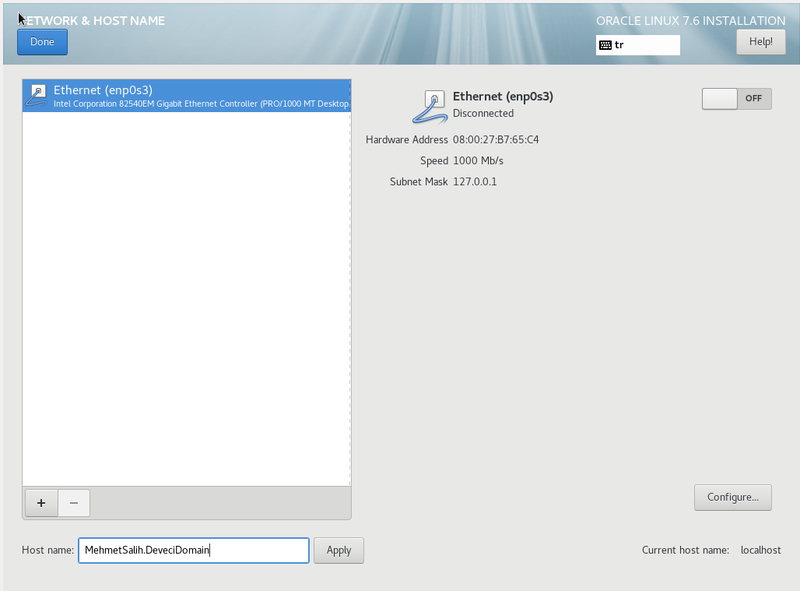 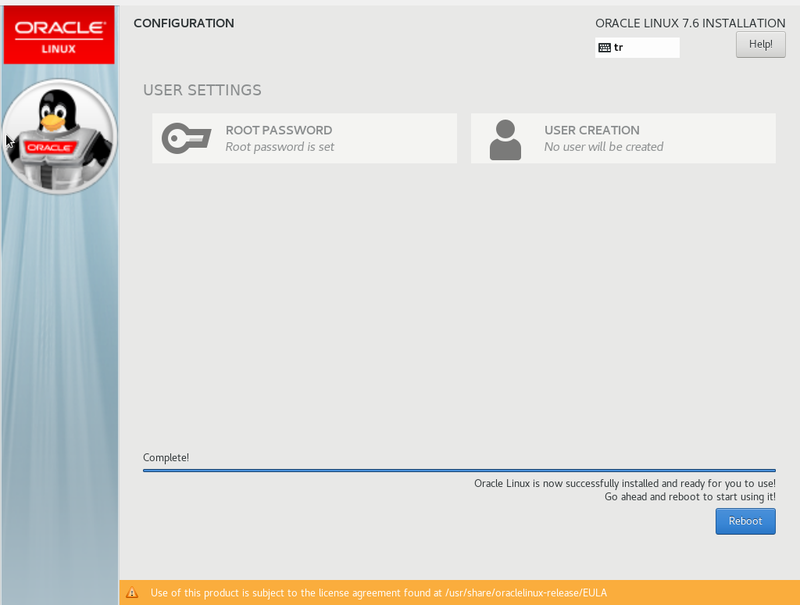 I will continue to explain Oracle Linux 7.6 step by installation on Virtual Box in this post. 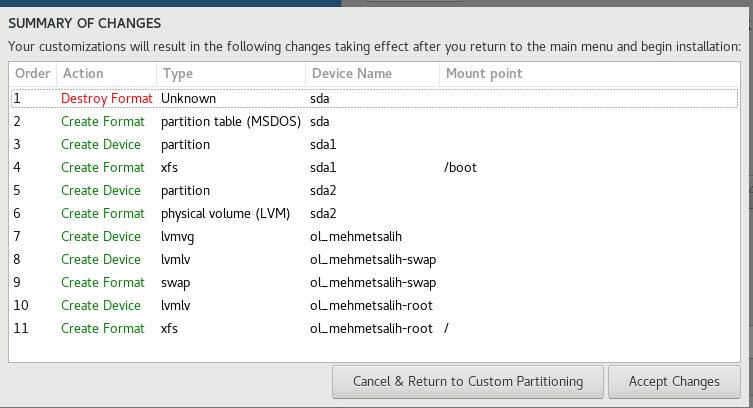 Specify root disk and swap disk as follow. 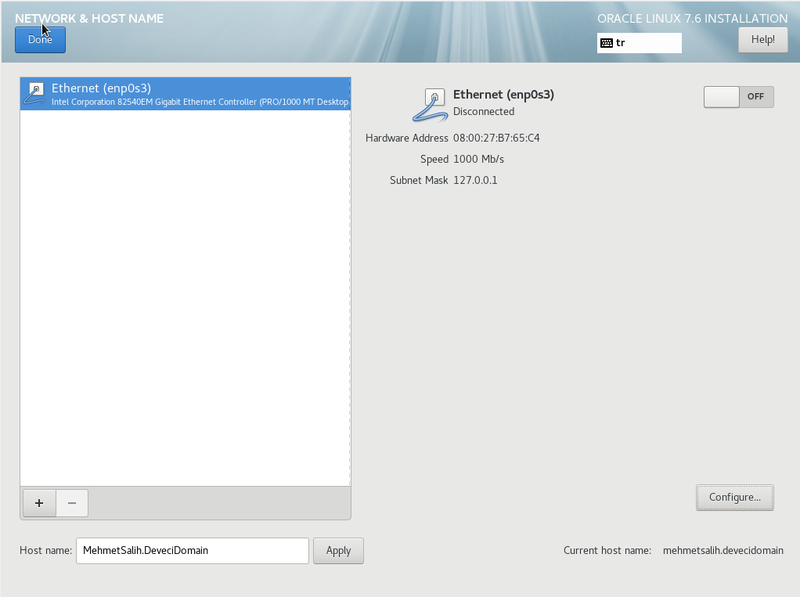 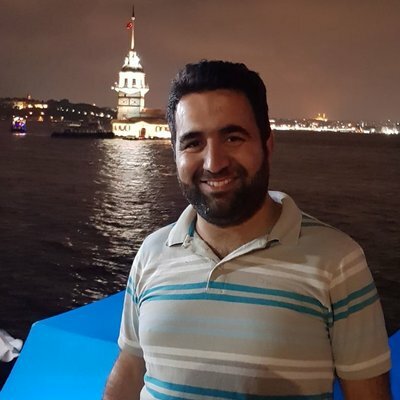 Specify Network and Hostname like following. 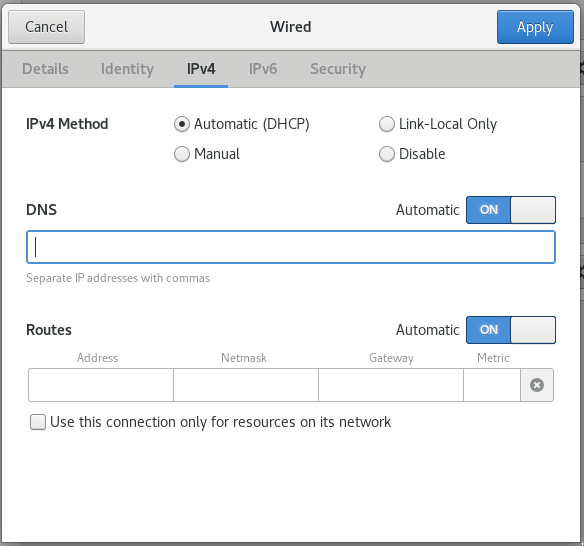 Type IP, DNS, Gateway and subnet if you use manual IP. 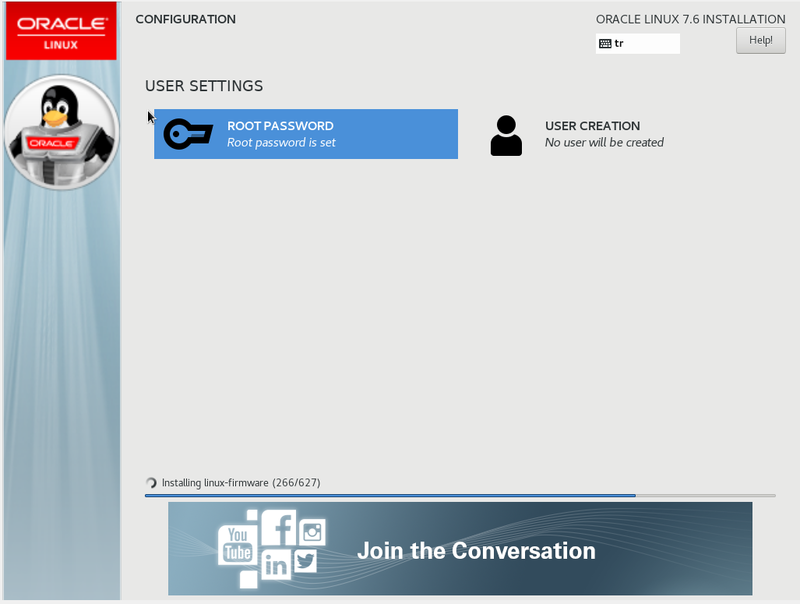 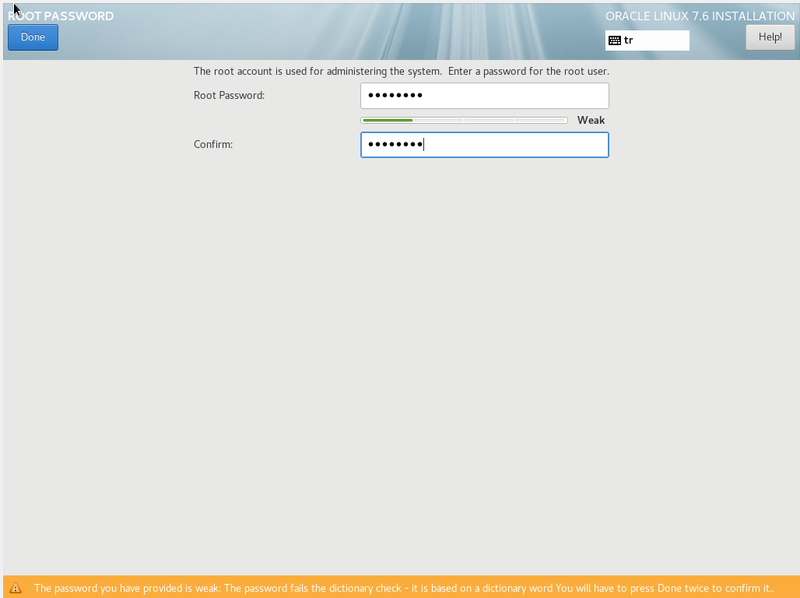 Type root password of Oracle linux operating system. 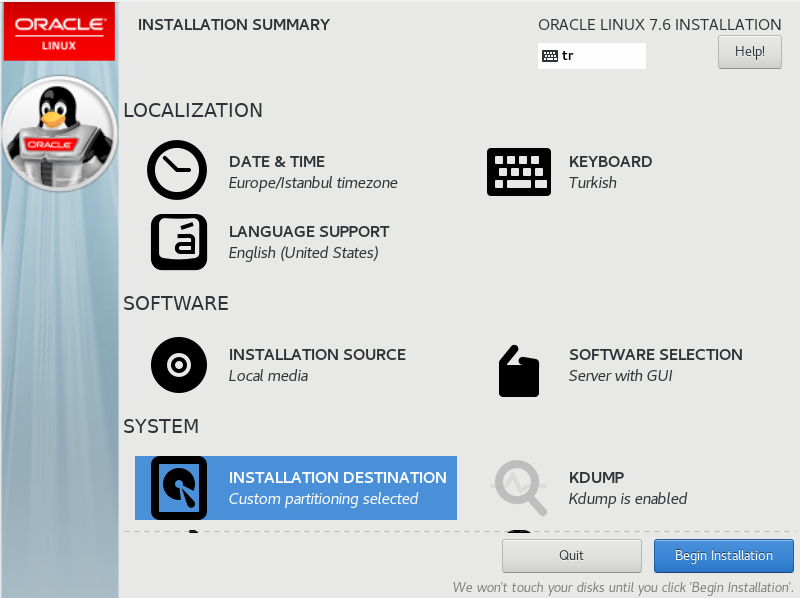 When installation is complete like above then Reboot it and start to use.